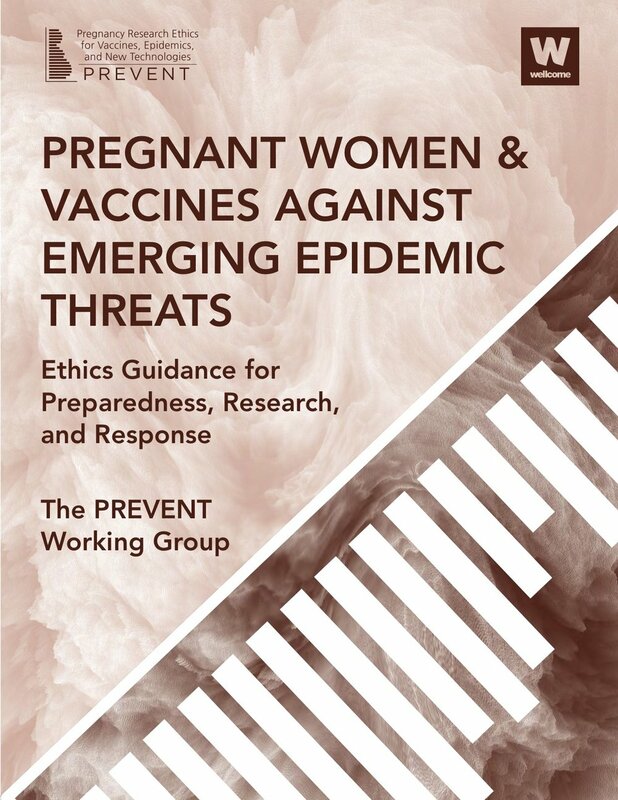 This Guidance provides a roadmap for the ethically responsible, socially just, and respectful inclusion of the interests of pregnant women in the development and deployment of vaccines against emerging pathogens. The Guidance is a product of the Pregnancy Research Ethics for Vaccines, Epidemics, and New Technologies (PREVENT) Working Group—a multidisciplinary, international team of 17 experts specializing in bioethics, maternal immunization, maternal-fetal medicine, obstetrics, pediatrics, philosophy, public health, and vaccine research and policy— in consultation with a variety of external experts and stakeholders. The Guidance begins by setting forth an aspirational vision and makes the case for its moral importance. We then specify 22 concrete recommendations, organized around three key areas: public health preparedness, R&D, and vaccine delivery. The recommendations are directed at a range of actors, including global and national policymakers, regional and national regulatory authorities, funders and sponsors, vaccine manufacturers, research institutions, trial networks and research groups, individual researchers, oversight bodies, ethics review committees, community advisory boards, and civil society organizations.